Workplace Insanity: Is Anybody There? Does Anybody Care? Have you ever felt that yours is a lone voice in the wilderness, crying out but not being heard, or if heard, not being listened to? As humans, we have a need to interact with others, to speak and be heard and listened to, and to listen and understand what is being said and to respond. Without such interactions, we feel alone and isolated, and this can be terribly frustrating and demoralizing. In the workplace we usually work as part of a team, but sometimes it is a team in name only, and meaningful interaction among the team members is minimal or non-existent. Such a situation should not be allowed to start or grow, for it can have negative consequences to the work of the team, and to the success of the company. 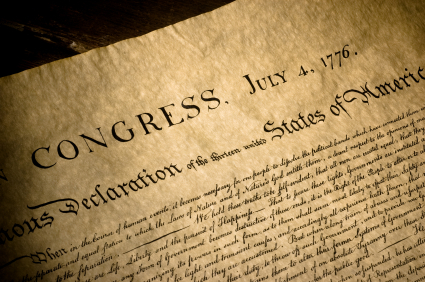 The title of this blog post comes from the musical play “1776”, which tells the story of the founding fathers leading to the drafting and signing of the Declaration of Independence. Most of the founding fathers are in Philadelphia discussing the situation with England. George Washington, however, is the General in the field sending back dispatches and urgent requests for help in manpower, supplies, and more, most of which have been unanswered or not acted upon. Washington perseveres, but in one of his messages he asks, “Is anybody there? Does anybody care?” He feels alone and isolated from his ‘team’ and seeks their help, but gets no real acknowledgement or assistance. Unfortunately, all too often, employees in the workplace feel the same way – that no-one hears them or listens, and no feedback is provided. This is a dysfunctional situation that must be remedied (see Dysfunctional Families). Everyone contributes to make such a bad situation exist, and there are roles for everyone to play to reverse such a situation. ► Direct Chain of Management: Your direct chain of management sets the tone for their groups. They determine whether team efforts are recognized and rewarded, or whether specific individuals are honored. Clearly there is room for both. A great team effort should be recognized as such, and rewards, such as public acclamation at company meetings or luncheons for the team, should be expected. Outstanding individual contributions should also be recognized publicly; such outstanding performance can serve as an incentive for others to go above and beyond their normal duties. However, if recognition goes only to specific individuals, and to the same individuals time after time, this can become a negative incentive, where team efforts are not recognized, and the probability of you being recognized for your personal efforts, unless you are one of the “chosen ones”, is very small. [See Move the Rocks and People Travel Faster] Recognizing everyone when only a few deserve it can also be dis couraging (see Everyone Does NOT Deserve a Trophy!). ► Team Members: In the same way that it takes two or more to hold a conversation, it takes two or more to make a real team. The members of the team must make conscious efforts to work together, to get to know each other, to get to trust each other, and to make the results of the efforts of the team greater than the sum of the efforts of each team member. You get a real feeling of success and enjoyment when everything clicks and the team works as one integrated unit. Your team becomes unstoppable. Such synergy is often difficult to achieve, but it is incredibly rewarding (see Pigasus - When Pigs Fly!). However, it usually takes only one team member not participating fully to destroy the synergy, and, with time, to completely destroy the team (see Herding Cats 6: Complainer/Whiner, Cheshire Cat, Loner, Credit Taker/Thief & A$$hole). The Team must work together to ensure this doesn't happen, and help out a fellow team member who is having problems. We all want to be part of a greater effort, and to contribute and to be recognized, both individually and as part of a successful team. In the right organizational structures, people are there, and people do care! Copyright 2012 Workplace Insanity, All Rights Reserved.